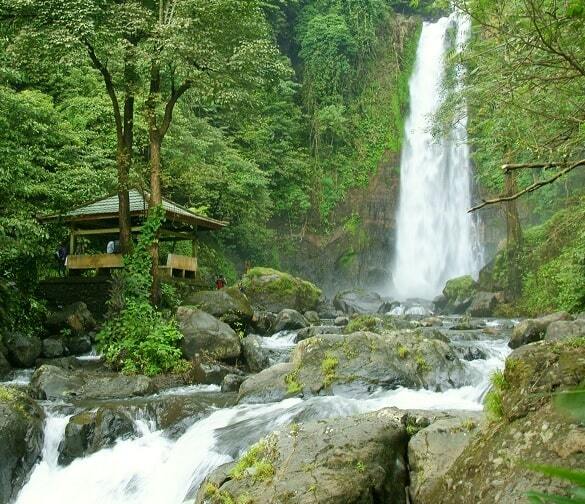 "Gitgit waterfall is located in the plateau area with the height about 35 meters and it is surrounded by tropical tree and emits the constantly natural water debit during the year. Waterfall voice around the charming nature was amazing and it was the separate attraction which can be enjoyed by each visitor who comes to visit. There are some plantations protecting the rain forest around the waterfall and in this place we often met the wild monkey to get the water from this waterfall." The Gitgit Waterval is one of the tourist attractions in Bali. The water falls from a height of 40 meters straight down. The water falls all year round, but especially during the rainy season, it's impressive. All this happens in a setting of green rainforest. Near the waterfall Gitgit are many tourist shops. The tourism industry of the island will clearly benefit from the waterfall. Other waterfalls in the area are lower, but in many cases less severe. The other waterfalls are also safer for loving couples because according to superstition will be a bunch, bathing in the water of the waterfall Gitgit, break up quickly. Gitgit Waterfall is located in the north of Bali in the village GitGit about 10 kilometres from Singaraja, or about three quarters of an hour drive from the tourist town of Lovina. The waterfall itself is about a mile outside the village Gitgit. When you arrive in Gitgit, it is still a little way to walk to the waterfall, because it is only accessible on foot. The trip takes about one and a half kilometres. The path runs down the mountain and along a river. Sometimes the stairs will go a little bit down, and sometimes you have climb a narrow path. You walk on the dikes of rice fields and vanilla plantations. Furthermore, you can see the entire path stalls, where you can buy souvenirs. Especially a lot of sarongs, spices, kites and carvings, is sold here. These souvenirs can be found all over the island. 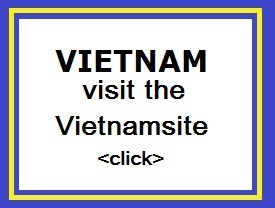 If you want to buy here, though, realize that you have to go up and down to drag your souvenir! There are also run a lot of small children, who sell beaded necklaces. Maybe it's better to buy something on the way. 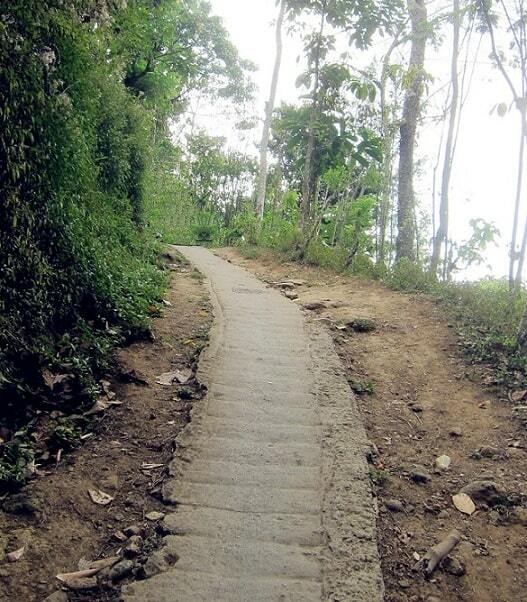 Along the way to the waterfall, you can see sacrifices beside the path. There are especially a lot of flowers offered, but there are other sacrifices along the way, such as cola bottles. The waterfall is clearly audible if you're climbing. However, you do not see teh waterfall. At one point teh path will bend. After this turn you will see finally the waterfall. It's very special and relaxing. At the bottom of the waterfall is a small, deep "lake" formed. This water flows away quickly between and over the rocks. At a small distance from the waterfall there is a bridge over the river. From here you can look at the waterfall and take pictures. After such a long walk is standing here close to the waterfall a good way to cool off. The fine mist of the falling water is coming to you, it makes you wet with ice-cold splashes. In the water you can also swim, but it flows quickly. Also have a good look at the beautiful green nature around the waterfall. Especially in the morning it is quiet here, and allow you to enjoy the beautiful scenery without being disturbed. The only attraction of the village is the Gitgit waterfall. The village has nothing to offer. The area is, however worthwhile. The mountain slopes are green and the village is about eight hundred meters long. It is not as hot as in the towns by the sea. This allows you to go walking in the area. Besides the beautiful forest there are many clove and coffee plantations. Also, cocoa, vanilla and tropical fruit trees can be admired in abundance. 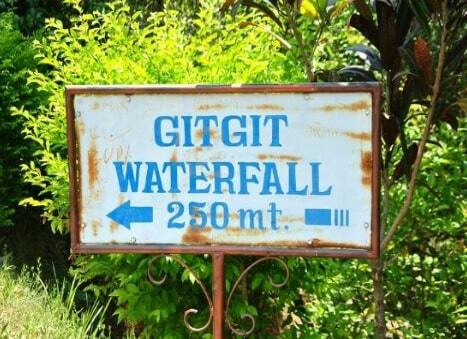 To go to the Gitgit waterfall you have to pay a small admission fee. The amount is negligible. The fee is used to maintain the paths neat and clean.